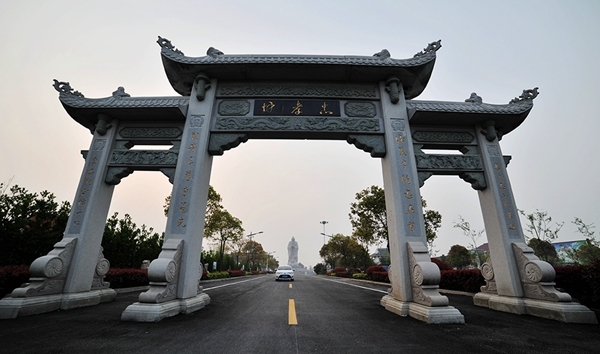 Tongzhou district's Zhongxiao Cultural Park, the cultural park of loyalty and filial piety, in Nantong, Jiangsu province, went into the first of four stages of construction in early 2006 and was completed in November 2008. 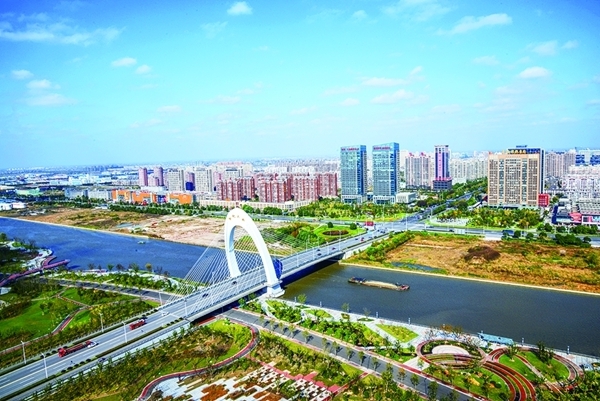 Located 500 meters north of Dongshe town, the park covers an area of more than 160 mu (about 10.67 hectares) and has a total investment of 320 million yuan ($ 46.38 million). 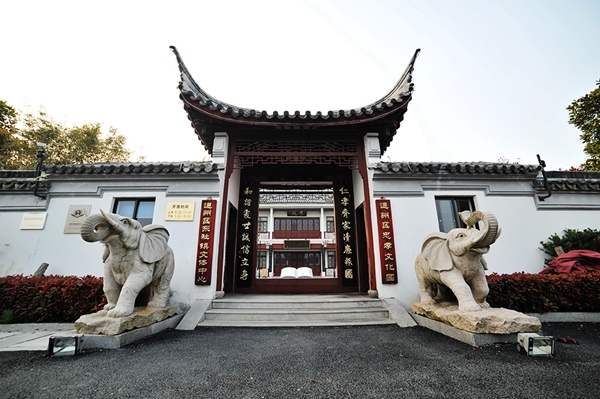 Based on the site of General Lu Fengbin's residence, it has been partly re-designed by Tongji University, leaving a unique architectural style of Jiangnan’s gardens built during the late Ming to early Qing dynasties (1368-1911). It is open to the public free of charge. Zhongxiao Cultural Park was the first landmark with the theme of "loyalty and filial piety", a key spirit in Chinese traditional culture. It hosts the Si Yuan building, a multifunctional audiovisual hall, a library, Zhongxiao Hall, Chinese Pillar, Treasure House, a calligraphy exhibition hall, the stone-carving scroll of The Book of Filial Piety, the Zhongxiao cultural corridor, and a stone garden showcasing 24 stories about royalty and 24 about filial piety. New murals depict 24 stories on filial piety and galleries honor Nantong’s most filial citizens. Precious items donated by social communities, such as mahogany statues named "the Four Great Men" and "Ten Marshals", a precious oil painting of Mao Zedong (Mao Tse-tung) in Jinggang Mountain and other small-sized rosewood carvings are stored in the quaint Treasure House.